The holidays are the perfect time to go all out and enjoy the things this year has given. The bright outlook that comes with it also makes it the ideal opportunity to celebrate love and life with a grand festivity. Celebrate the joyous season with the latest Christmas and New Year gaiety from the grand I’M Hotel. The official nominee for best Urban Hotel in Asia for 2017 and 2018 has kept its guests in mind while curating special holiday plans. Its Christmas treats aim to delight both the giver and the receiver with memories to last for years to come. I’M Hotel’s Christmas events are versatile—these include dining, spa, and celebratory experiences that can be enjoyed with friends and family, and gifts and hampers that guests can conveniently take home for a loved one to experience the festive vibes of I’M Hotel. Enjoy the festive season at I’m Hotel with direct booking! Spend the holidays with the best rates along with other complimentary benefits: buffet breakfast, access to Club Lounge, and spa facilities. Rest easy during the most hectic time of the year. Stay in and sink down with a comfy room and spa treatments. Get half off at the spa-cation package and delight in a 60-minute massage and a dinner and breakfast buffet for two. Spend a magical evening at the stunning jellyfish bar and usher in the New Year at the rooftop. Be one of the privileged few to experience unobstructed 360-degree views of fireworks lighting up the city skyline and party the night away at an all-inclusive bash with a 3 hour open bar, hors d’oeuvres, and a complimentary champagne toast at midnight. 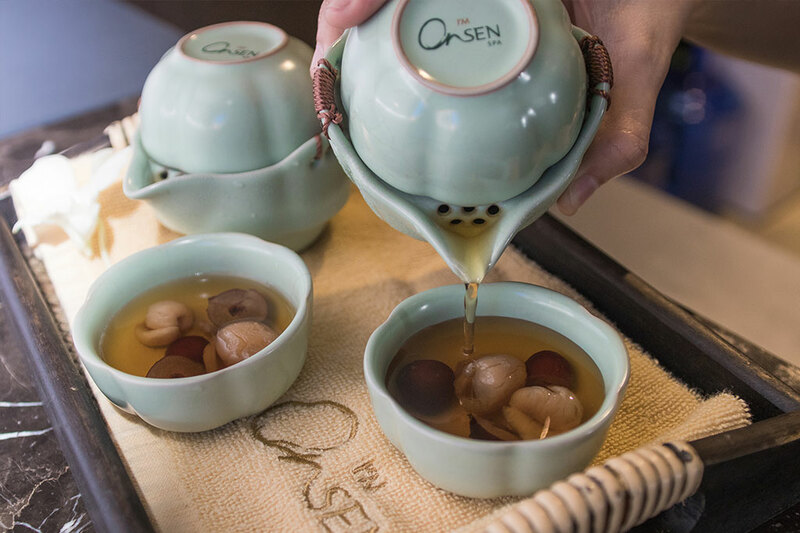 Guests can now give the gift of a spa experience from I’M Onsen Spa with the Onsen favorites. From the moisturizing lotion and the delicate tea set to the custom Yukata, the mellow vibes of the I’m Onsen Spa can be enjoyed right in the comfort of the guests’ homes. A Christmas Edition Hamper that is comprised of calamansi scrub, moisturizing lotion, peppermint essential oil, lavender pouch and complimentary I’M Onsen Spa loyalty card is also available for the guests to purchase. To further add to the festive atmosphere, I’M Hotel welcomes all guests to feel the spirit of Christmas at the hotel lobby on weekends from December 15 till December 31, 6:30pm – 7:30pm, and be serenaded by the best choirs in the Metro. Enjoy an exquisite yuletide buffet dinner at The Common Good Food Playground. Featuring 9 different concepts in one roof, savour the best of various international cuisines. Wind down with a calming spa session or live it up with drinks and food—how ever you choose to spend the holidays, I’M Hotel is the place to enjoy the gift-giving season.